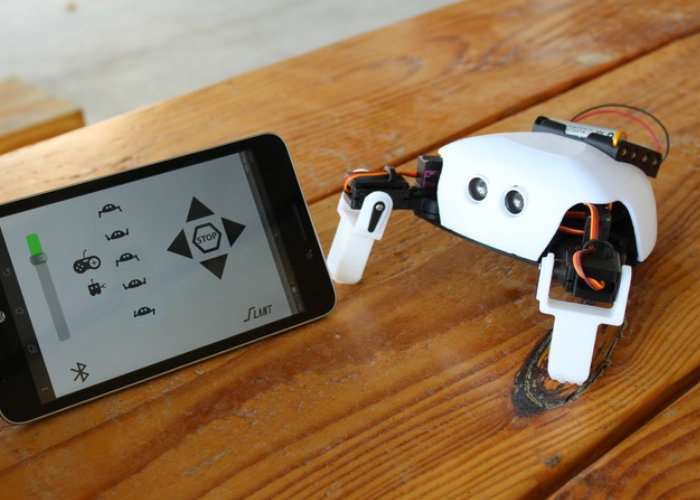 A new 3D printing kit has been created by Slant Robotics called the Critter which takes the form of a 3D printed Arduino biped robotic learning system, provides an easy way to learn more about coding and 3D printing. Watch the demonstration video below to learn more about the Critter robotic kit which is launched by Kickstarter this week to raise the small amount of funds it requires to go into production. Robotics is the most multidisciplinary field in engineering. It encompasses everything from electronics to neuroscience, helping to prepare students for any number of careers in the STEM fields. But this breadth is not always obvious, or interesting, especially to kids who are just getting started. • The Self-Motiviation that comes with building something. Critter is now available to back via Kickstarter with early bird pledges starting from just $45 and delivery expected to take place during November 2017. For full specifications and more information jump over to the official Kickstarter campaign page via the link below.